All posts in "Planet X"
Discoveries of new planets have not ceased since they began anew in the early 2000s. Whether it is the new “failed star” rogue planet, “Planet Nine” or Niku, people wonder if each of these planets are the long-rumored Planet X or even Wormwood of Revelation. If that’s you, it’s time to learn the important distinction between these objects and why no previously sighted object is the threat to earth known as Wormwood. Does Bible prophecy predict an “end of the world?” Unfortunately, yes; but not in the way that most expect or would believe. Civilization won’t end by ice age, global warming, nuclear war, overpopulation, killer virus, supernova, or by any other doomsday scenario accepted by most scientists. 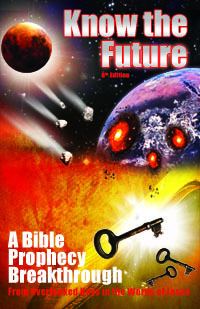 Instead, Bible prophecy corroborates a fringe theory proposed by only a few acclaimed scientists. Find out about Nemesis theory and where Revelation describes something just like it bringing a series of global cataclysms to earth. Also why this theory is not so “laughable” as the similar “Planet X” theory. C. Graham on The Day Atheism Ends, Worst Day Ever—But For You?Tim oq thinks of the 2030 project, and the new world order, is it prophetic?